Originally known as Osdick, named after P.J. Osdick, the owner of several local claims. 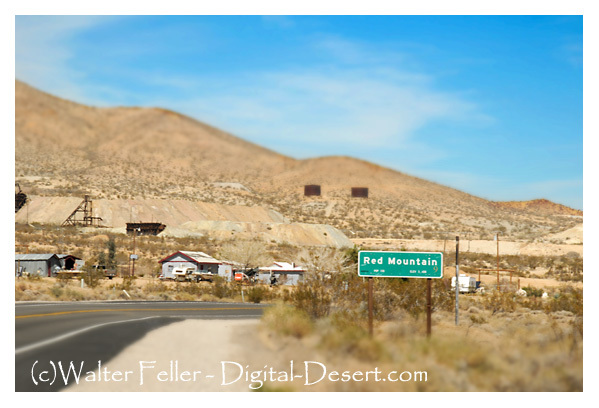 Red Mountain is an unincorporated community in San Bernardino County The towns of Osdick and Hampton were born in the summer of 1919. The post office came to Osdick in 1922. The town was renamed Red Mountain in early 1929. From the south, use US 395 to the town of Red Mountain and then take the Trona -Red Mountain Road 7 miles north to the boundary of the OHV area.